mommy's reviews: We Made It! Yay! Hurricane Sandy just dumped a bunch of rain and wind on us. We made out very well and didn't experience any power outages either. We are very thankful...but are praying for those who weren't as fortunate as us. Believe me...I am VERY thankful. Here is a little giggle for you. 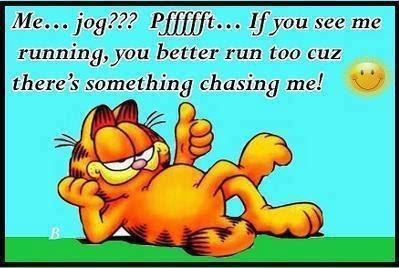 I cannot jog to save my life, so this is SO me! Tomorrow the gift guide starts so be on the lookout for some great reviews, giveaways and gift ideas! !